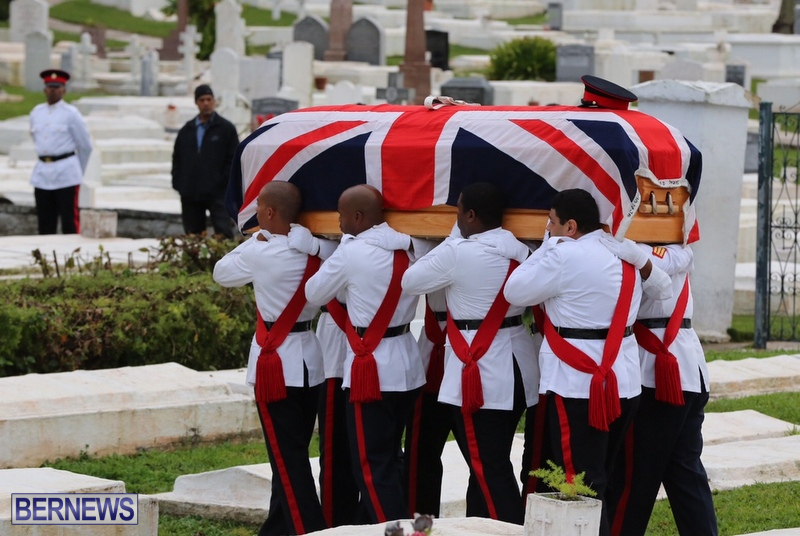 Sergeant Dejion Stange-Simmons was laid to rest today [Dec 4] with full military honours, as the Royal Bermuda Regiment came out to pay their final respects to the 26-year-old soldier. 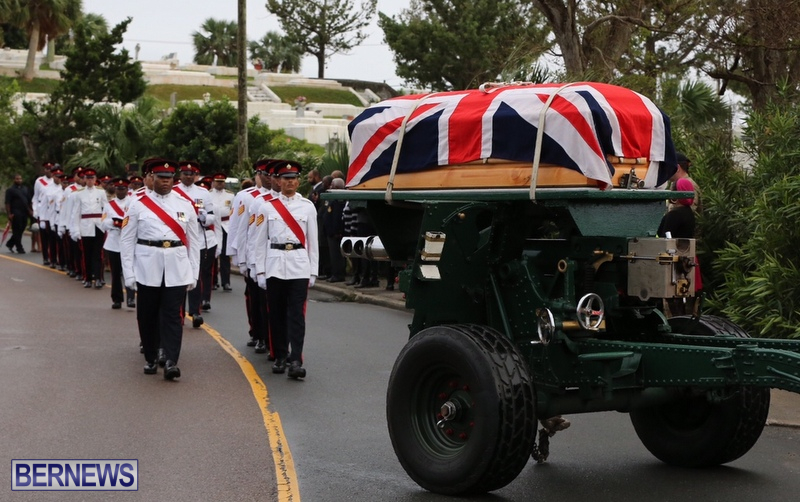 Sgt Stange-Simmons’ flag draped casket was borne by a military bearer party and transported on a Regiment gun carriage. 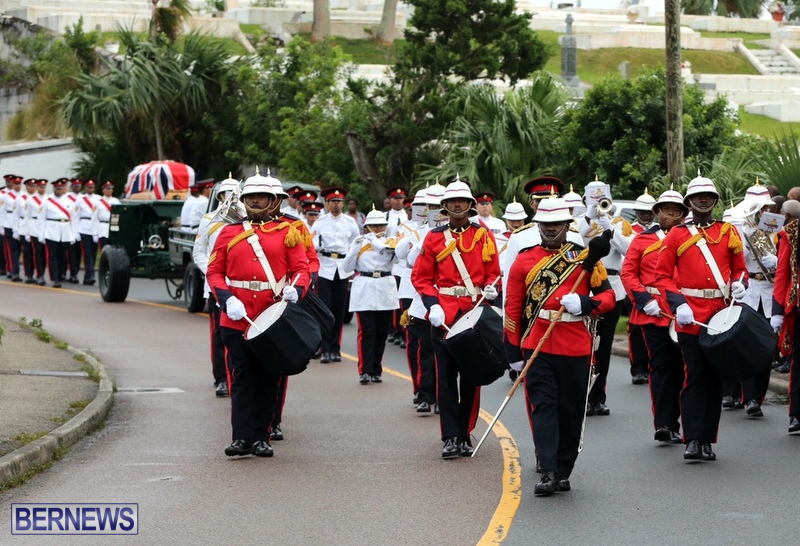 The funeral procession was led by the Regiment Band, and a contingent from the Regiment, led by the Commanding Officer, marched behind the gun carriage to St John’s Church. 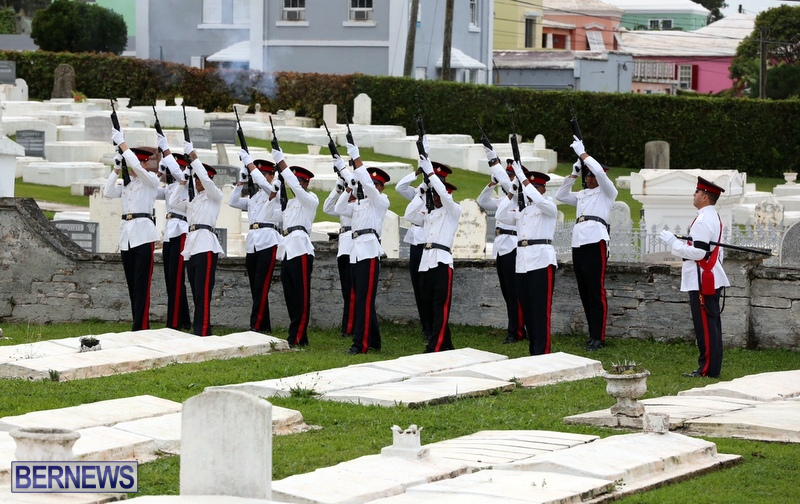 In addition to Sgt Stange-Simmons family and friends, a large number of Regiment personnel were present, as were members of the Bermuda Police Service and Bermuda Fire & Rescue Service..
Sgt Stange-Simmons joined the Royal Bermuda Regiment at the age of 18, and served for eight years. He was promoted to Sergeant by November 2011, and served as the Platoon Sergeant of 2 Platoon A Company. 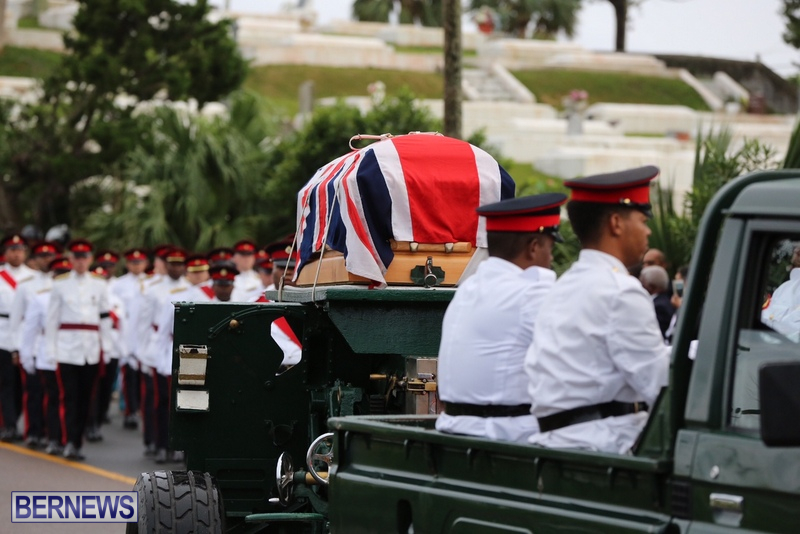 During his military career he was selected to be part of the three-man team which deployed with the British Army on a demanding six-week overseas exercise to Kenya. 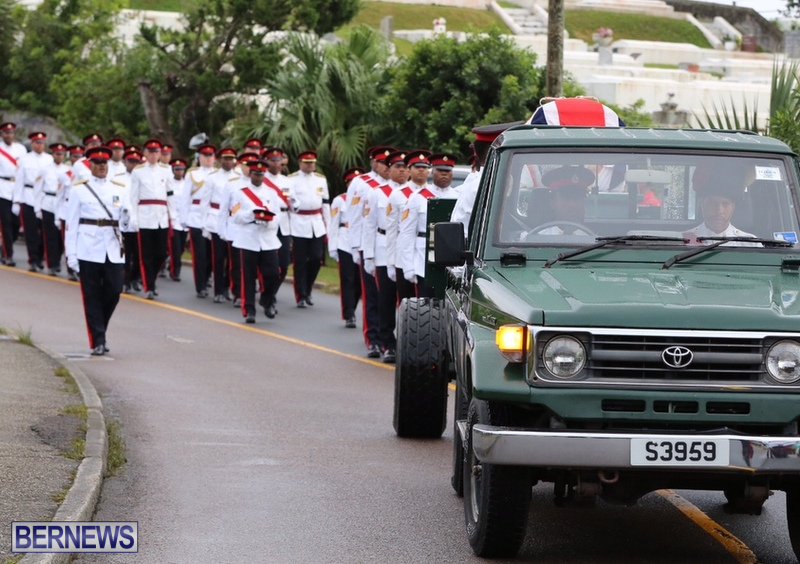 He also won an award for best Sergeant, received a letter of commendation for his work in support of the Bermuda Police Service, and was a member of Immediate Response Team 2. 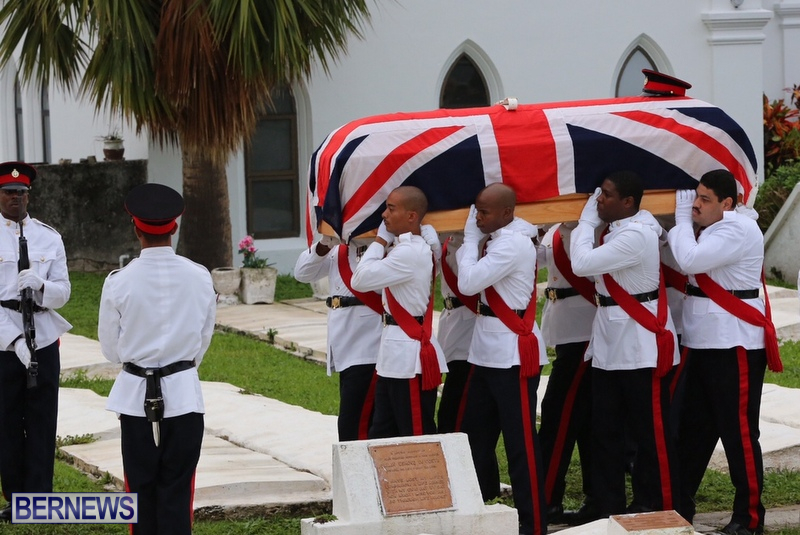 Upon hearing of his death, Regiment Commanding Officer Lt/Col Michael Foster-Brown said: “The Regiment was shocked, saddened and angry to hear of the sudden death of Sgt Dejion Stange. He was a respected senior member of the Regiment of eight years service, having been conscripted at the age of 18. 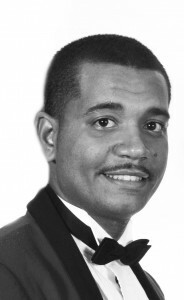 Sgt Stange-Simmons was found inside a Southampton residence at around 9:30pm on Thursday, November 26th, and the police said the circumstances surrounding his death are “suspicious.” The following afternoon, Friday, November 27th, the police confirmed that a man was in custody in relation to his death. 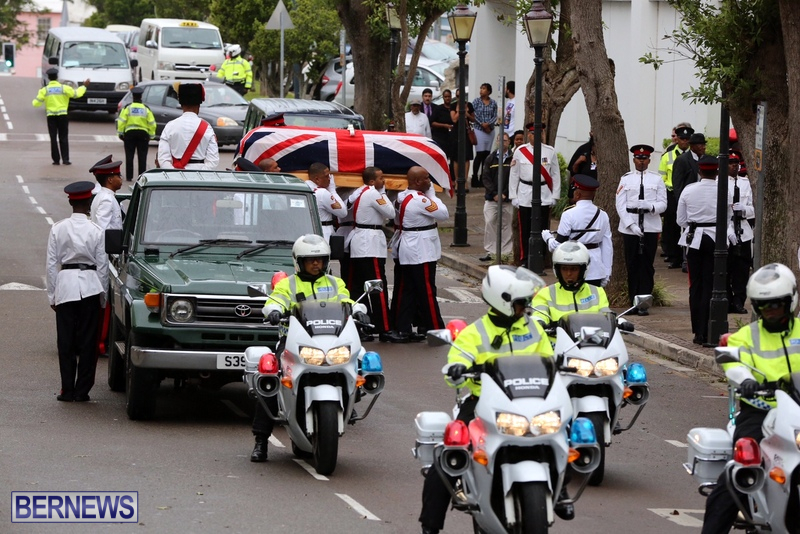 Governor George Fergusson, Premier Michael Dunkley, and Shadow Minister Walter Roban also expressed their condolences at the untimely passing of Sgt Stange-Simmons.